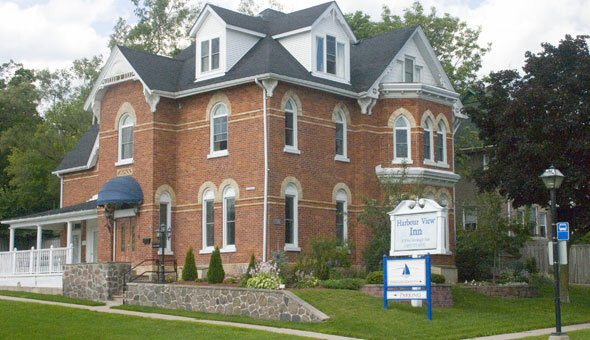 Harbour View Inn is a boutique heritage hotel near the intersection of at Berczy and Dunlop in downtown Barrie. Harbour View Inn, "Where 1885 meets 21st-century suite comfort," has 8 suites available, most with a great view of Kempenfelt Bay, Lake Simcoe. In-room amenities include a fully-equipped kitchenette, antique desk and chair, complimentary in-room tea and coffee, cable TV, private washrooms and ample private parking.